When all the electric instruments have failed and you are left to aviate and navigate with the analogue instruments and a map, the compass in a glider can help get you home. 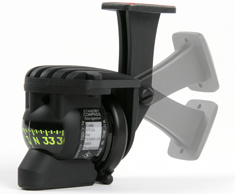 Used correctly in level flight and correctly installed and compensated, it does the basics for you. 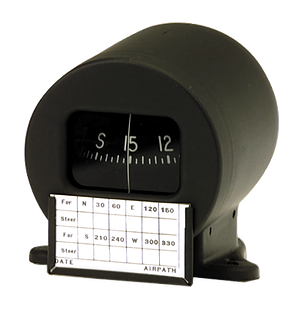 The Airpath compass from Winter is available in two forms, panel mount for a 57mm hole or top/coming mount. Both come with adjuster screws for compensation adjustment along with all the right paperwork. This model is designed to be mounted on top of the panel, suitable when there is no panel space to install a compass.